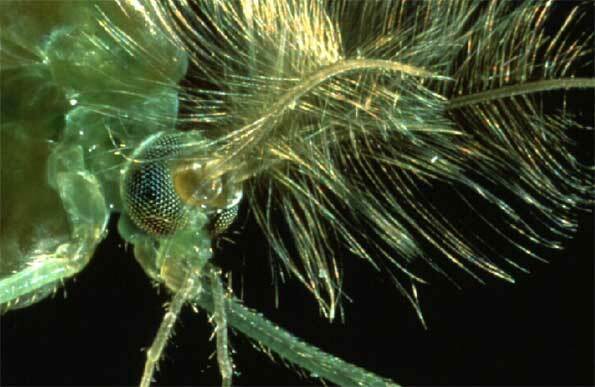 (Nanowerk News) Being able to hear the smallest of noises is a matter of life or death for many insects, but for the scientists studying their hearing systems understanding how insect ears can be so sensitive could lead to new microphones able to capture and analyse extremely faint sounds. A multidisciplinary team at the University of Bristol have used funding from the Biotechnology and Biological Sciences Research Council (BBSRC) to explore the workings of the 'ears' of a locust. These are micrometre thick membranes with complex and varying structural properties. The thickness of the membrane varies at different points and this affects how it responds to sounds – and in the case of ambient noise the team have discovered the membrane oscillates by only a few nanometres. The thickness of a human hair is about 80,000 nanometres across. Professor Daniel Robert is the research leader at Bristol: "We have found that different sound frequencies elicit very different mechanical responses in the locust hearing system. By studying these tiny nanoscale movements and understanding how sound waves are turned into mechanical responses we may be able to develop microphones based on the functions of natural hearing. These could detect very faint sounds and analyse their frequency, something that current microphones cannot pick up." The research team is also using nanotechnology techniques to study the hearing of mosquitoes. By employing Laser Doppler Vibrometry and Atomic Force Microscopy Professor Robert's team are able to accurately measure the tiny nanoscale movements of a mosquito antenna as it responds to sound and then create a 3D map of its profile and properties. Professor Robert explained: "Mosquitoes hear through their antenna and this comprises around 15,000 sensory cells, as many as in the human ear. We have found that just like humans, mosquitoes have the capacity for active hearing. This means that they can generate their own vibrations to amplify incoming sounds and improve the sensitivity of their hearing. They are able to stop this positive feedback when sounds create enough vibration on their own. How the mosquito does this is poorly understood but if we can gain a better understanding it could open up the way to developing tiny sensors, robust enough to work in a range of acoustic environments but able to detect nanoscale sounds at frequencies of human interest." Professor Julia Goodfellow, BBSRC Chief Executive, commented: "The fascinating insights that this research has revealed demonstrates the importance of multidisciplinary teams in modern bioscience research. By combining the skills of biologists, physicists and engineers researchers are able to further our understanding of key basic biological processes that occur at the nanoscale." Professor Robert is taking part in a discussion sponsored by BBSRC at the Edinburgh International Science Festival on 8 April 2006. Researchers will be available to talk to the public about nanotechnology and what it means for them and the future.